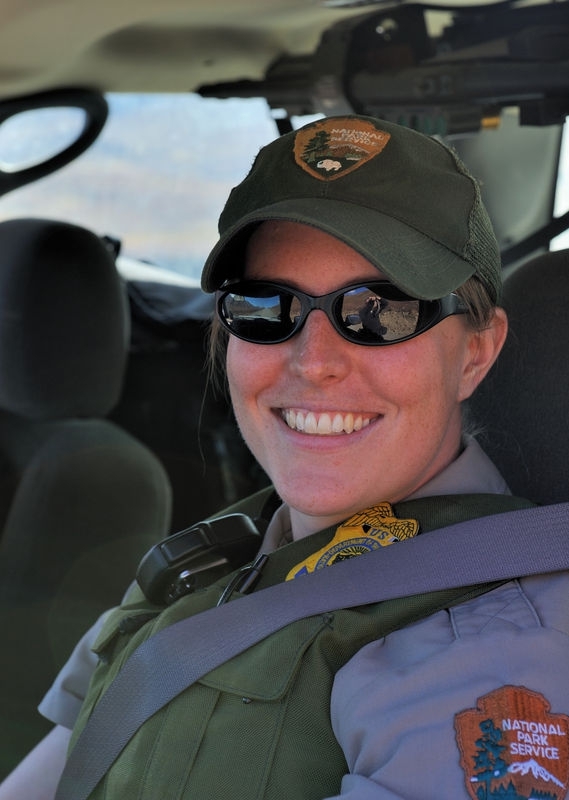 Laura III - The most beautiful and friendly park ranger of the Denali National Park. No writing tickets as in ANPAT8 - Bodie incident, but friendly talk about the park. Request to hire her and her truck as guide and wheels is friendly declined. Something to do with guns in the truck! Albert! Natural beauty seems to go hand in hand with cordiality and vividness. Great shot! You are an alert and non-shy photographer. Taken the moment before she pulled out her.45 and told him to back off! Nah! That big smile is one of "I like you and you make me laugh"